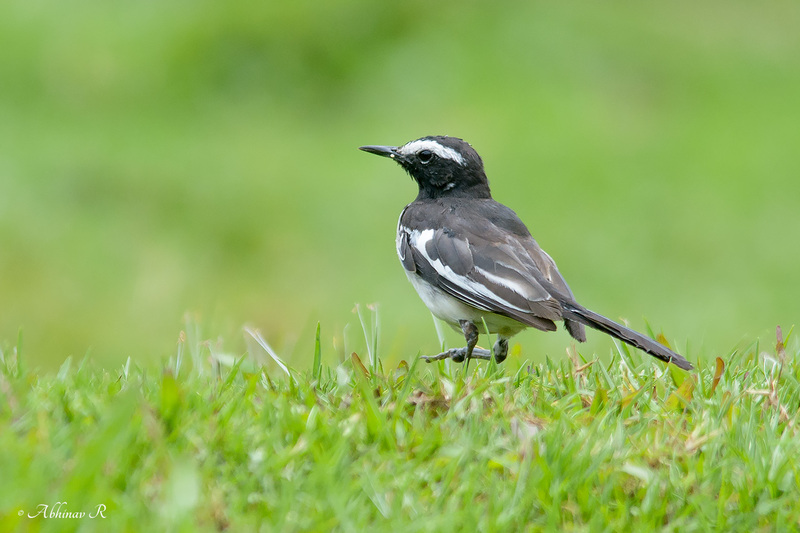 Here I am sharing some pictures of the White-browed Wagtail taken from different regions. 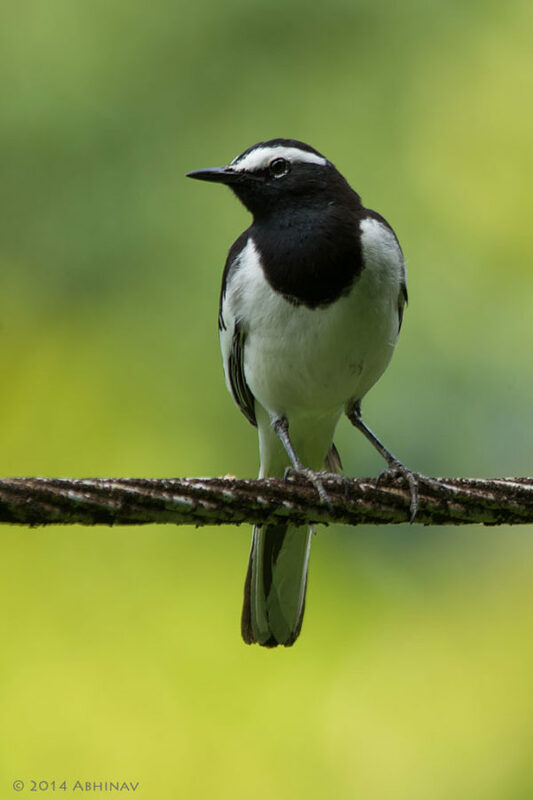 It resembles Oriental Magpie Robin, but the latter belongs to Flycatcher family (Muscicapidae) and is more common here. White-browed Wagtail photo from Pampadumshola National Park, near Munnar, Kerala. This bird can be easily identified with its eye-brow like white coloring above the eyes; is also bigger when compared to other wagtails. It is a common bird here; not a migratory species. It is often seen walking in the ground, in search of insects, even around human inhabited areas.